If you liked this show, you should follow Morning Moments With Maia. Maia Aziz P.S.W., C.L.Y.L., writes and speaks on living a life of love and laughter. President-Elect of The Association for Applied and Therapeutic Humor, Maia is joined each week on Morning Moments With Maia...Conversations of Love and Laughter by an eclectic lineup of guests who live their lives with love and laughter and work to help others do the same. Coach Gunn, a former collegiate track coach who trained 136 All Americans and eight NJCAA national championship teams,and has coached hundreds of chronologically enhanced adults to succeed with completing a marathon. 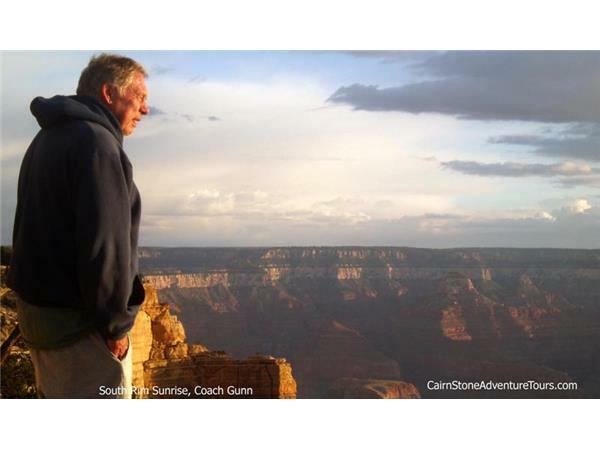 In addition to running the Extreme Sports program at Southwestern Michigan College, through Cairn Stone Adventure Tours, Coach Gunn organizes adventure tours in which he trains people from all walks of life to reach their best physical potential and then accompanies them through some of the most interesting and wonderful experiences of a lifetime.